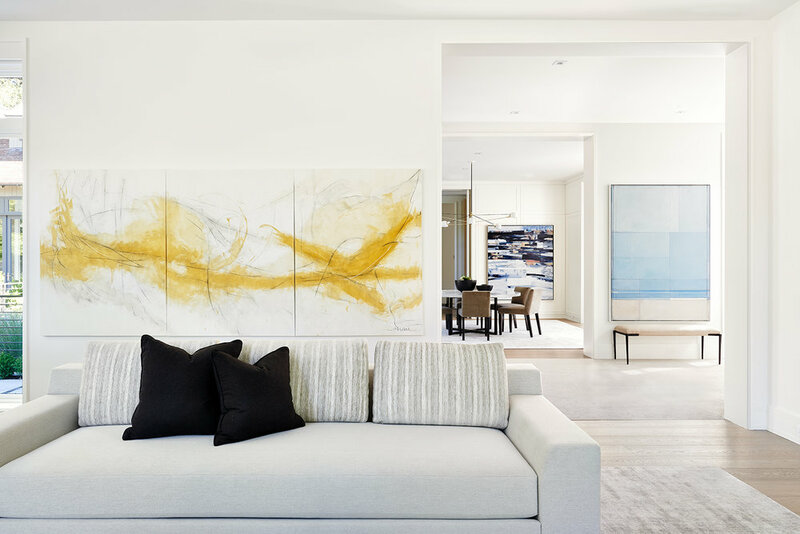 Laurie Ghielmetti did such an amazing job filling this large Atherton 3-story residence with modern artwork that it was easy to see all the different shots we could take to showcase her curation. This assignment was pretty unique - the goal was to find shots that could show how artwork fits in the context of the space as well as how each work paired with one another. There was some challenge in that we could only access the property during limited times and the light can be quite hard to deal with in the middle of the day during these summer months. I'm always up for a good challenge and there's nothing flash strobes, diffusers and hours of post-processing can't handle. There were some nice 100% natural light shots to be had though :) Can you tell which they were?